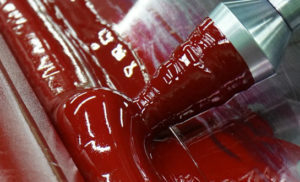 Our Offset / Lithography department is capable of up to 7 colors & also up to 54.5" x 77". It features UV Inks & Curing with high speeding printing for up to 4000 pieces an hour. Top of the line quality, with up to 150 line count for maximum resolution. Your product will look its best with our Computer to Plate Technology with 2400 dpi & Thermal digital no bake plates.